Jan Morris is a legend in the world of travel writing, but with 50 Years of Europe - An Album she surpassed even her own excellence. I read the book open-mouthed, full of admiration for the amount of ground she has covered and the number of stories she's collected. Mind you, these are only the European stories - how many there would be if she decided to write a global 'album'??? The book is composed of tiny snapshots - half a page here, three quarters there. It may appear slightly chaotic, as she moves freely between countries and periods, but the mini-chapters are in fact thoughtfully arranged. I don't want to reveal too much, so you'll need to read the book to discover its hidden logic but believe me - it is there :). As with all best travel writing, 50 Years of Europe is a mixture of travelogue and autobiography. Jan Morris looks back at a lifetime of globetrotting (ehm... Europe-trotting?) and picks the best places and best stories for the readers' enjoyment. Since in this case we're talking about more than half a century, the collection is pretty impressive. Usually, I am quickly tired by Morris's romantic style. I am aggressively down-to-earth, so her fanciful musings tend to irk me. Not in this case. A sudden change of focus in the writing? Perhaps. 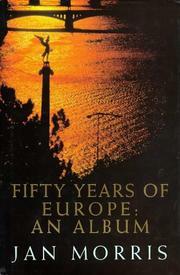 Or maybe I read 50 Years of Europe in a more tolerant frame of mind. Whichever is correct, this is definitely the best writing by Jan Morris that I've ever come across. I wonder, would other readers feel the same way?